If you were thinking about purchasing an iPhone 6 or iPhone 6 Plus, now would be the perfect time to act because Walmart is currently offering both smartphones for $150 less than they usually cost. Needless to say, the promotional price is only available for US citizens and there are a few things worth taking into consideration before acting on this offer. The smartphones are refurbished and only work with AT&T and Sprint, at least for the moment. Verizon variants were also available some days ago, but it looks like they have all been sold out and are no longer being listed as of this writing. Also worth mentioning is that the Sprint iPhone 6 Plus is not available at the moment, so Sprint customers will have to settle for an iPhone 6. Only the 16GB variants are available right now and they cost $498 and $598 for the iPhone 6 and iPhone 6 Plus, respectively. The regular price for the devices is $650 and $750. Color options include Silver and Space Gray for AT&T and Space Gray and Gold for Sprint. Now, while the smartphones are refurbished, they do come with a 90-day warranty and they have all been inspected before being put on sale. In addition, shipping for these cheap iPhone 6 and iPhone 6 Plus handsets is absolutely free. You can check out these deals here. As a reminder, the iPhone 6 features a 4.7 inch display with 750 x 1334 pixel resolution, Apple A8 dual-core processor clocked at 1.4 GHz, 1 GB of RAM, 8 MP primary camera, 1.2 MP secondary shooter, and 1,810 mAh battery. As for the iPhone 6 Plus, potential customers can expect to see the very same amount of RAM, processor, and cameras, but a bigger 2,915 mAh battery and a 5.5 inch display with 1080 x 1920 resolution. 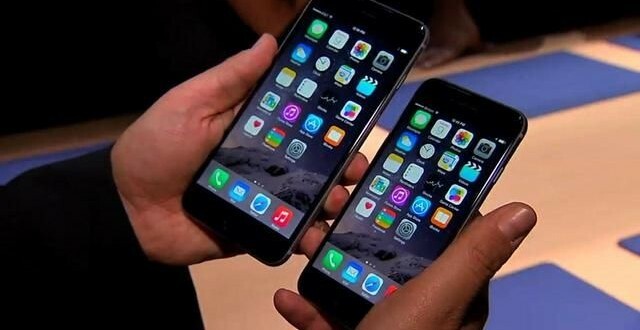 Both the iPhone 6 and iPhone 6 Plus come with the iOS 8 operating system straight out of the box and can be further upgraded to iOS 8.1.2.